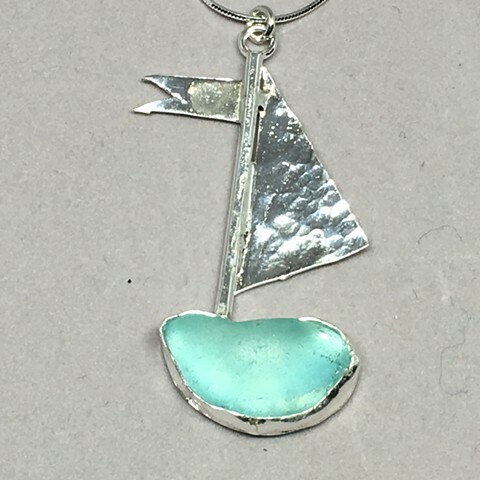 Very sweet little sailboat with aqua piece of seaglass set in fine silver bezel. Sails are also fine silver. Choice of 16" or 18" chain.